Flanked either side by the Cotsworlds and Forest of Dean, outdoor space and fresh air come as standard when you live in Gloucester. As do charming period and regency homes and brilliant links to other towns and cities across the south west, not to mention great schools. 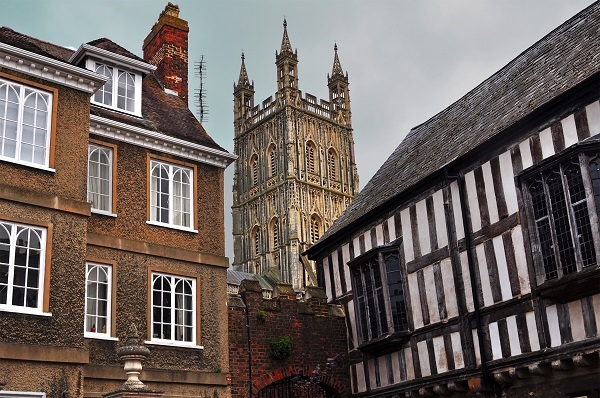 Whether you're young and commuting to Bristol or Birmingham or part of a growing family and looking to put down roots in a stunning part of the UK, Gloucester is a city and county town that really does have it all. There's a strong chance anyone looking to live in Gloucestershire is keen on a traditional period home close to the Cotswolds and other outstanding areas of natural beauty. And while demand for nearby Cheltenham's stunning regency homes has pushed prices high, there is still great value to be found in Gloucester property, alongside easy access to the Cotswolds and a relaxed pace of life. Like Cheltenham and other Cotswolds towns, Gloucester has its fair share of stunning Regency and Victorian homes in the city centre. Some of these period properties have been converted into flats, too, meaning more choice for buyers with various budgets. A host of modern apartments with great views across the city have also been built in more recent years, while those seeking a traditional Cotswold stone cottage should look east in places like Bibury or Stow-on-the-Wold. Semi-detached homes were the subject of most of Gloucester's 2018 transactions, fetching an average price of £225,086. Terraced properties, meanwhile, averaged £179,817 and larger detached houses £326,108. Compared with neighbouring Cheltenham, whose overall average value is £336,537, Gloucester provides a little more value for those looking for a Cotswolds home. Gloucester's rental stock is a fairly even mix of converted flats, modern apartments and larger family homes. A two-bedroom flat in the city commands an average monthly rent of £745, while a larger four-bedroom family house would set you back £1,309 on average. One of Gloucester's biggest selling points is its road network. The M5 sits to the east of the city and provides superb links to Birmingham and the Midlands north and Bristol, Devon and Cornwall to the south. The A417 runs south east from Gloucester to Cirencester, across the Cotswolds, while Cheltenham is only a short hop north east along the A40, which also stretches to Oxford. Gloucester is best known for its aviation history, which included the Gloster Aircraft Company, which changed its name because clients claimed 'Gloucestershire' was too difficult to spell. More recently, the city has become home to Ecclesiastical Insurance, Lloyds Banking Group and TSB Bank, while Gloucester Business Park hosts the likes of Fortis and BAE Systems Applied Intelligence. Gloucester's schools are regarded as among the best in the country, with High School for Girls ranked the 30th best school in the UK from 3,133 institutions studied. For boys, Sir Thomas Rich's School comes out on top with an 'Outstanding' Ofsted rating. For younger children, Coney Hill Community Primary School, Castle Hill Primary School, Field Court Junior School and Birdlip Primary School are all rated 'Outstanding' by Ofsted. Harewood Junior School, Meadowside Primary School, Innsworth Junior School and Slimbridge Primary School are all rated 'Good'. As you might expect from a Cotswold city, Gloucester's farmers' market each Friday is hugely popular, while a host of other seasonal craft markets also take place. The city centre high street is flanked by the King's Walk and East Gate shopping centres, home to the likes of Primark, River Island, Superdrug, WHSmith, H&M, JD Sports and M&S. 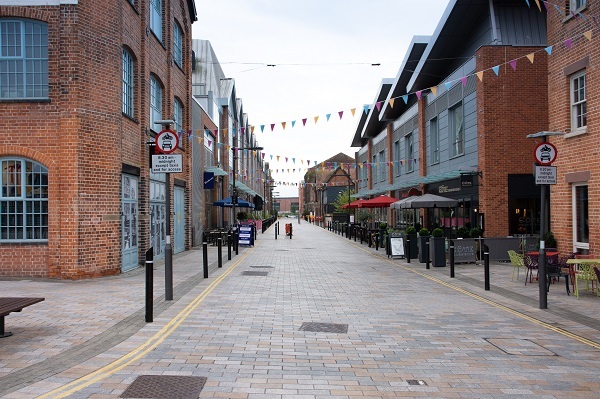 Slightly out of the city, the Gloucester Quays complex opened in 2009 and hosts a number of outlet and designer brands, including Nike, Adidas, Hugo Boss, Fatface, Cath Kidston, Ted Baker and Radley. For independent, boutique shops, head to the Cathedral Quarter. Let's be honest, as nice a fine dining and delicately cooked food is, sometimes we all just want a pie! If that's the case and you live in Gloucester, you're in luck as SO PIE has to be one of the best eateries of its kind in the country. Homemade and served with plenty of thick cut chips and gravy, it's comfort food at its finest. For a little more variety, but the same relaxed atmosphere, try the Coalhouse Inn at Apperley Village. Braised beef, lamb shank and honey baked salmon jump out from the menu alongside craft ales and even some animals for the children to play with. As well as exploring the national beauty of the Cotswolds, Gloucester's cathedral is well worth a visit - especially for fans of Harry Potter, as several scenes from the films were shot there. If you like your weekends a little more lively, however, then the annual Cooper's Hill Cheese Rolling is a must-visit. Every year, a group of daredevil thrill seekers from all over the world chase a 7.9lb round of Double Gloucester cheese down a steep hill. The Museum of Gloucester is housed in a splendid Victorian building in the city and is full of local history and artefacts for the children to explore. If the weather is poor, there's nothing better than a film to keep the kids entertained and Cineworld at Gloucester Quays has 10 screens. When the sun is out, however, the Gloucester Tall Ships festival is a must with the kids. 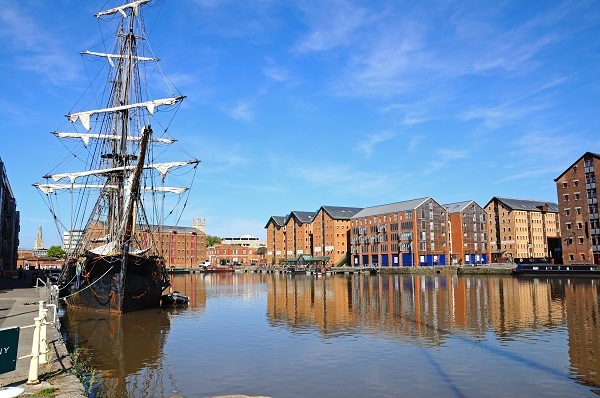 Packed with attractions and several fascinating vessels to check out, the event also shows off the historic Gloucester Docks in all their glory.